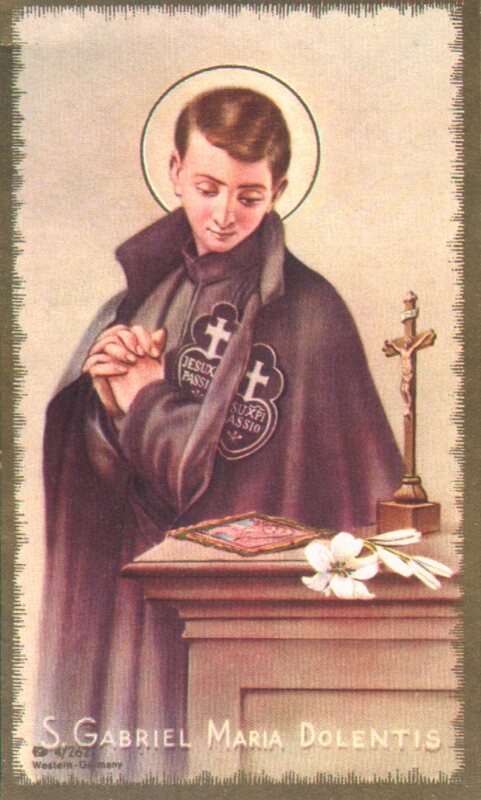 Today is the feastday of St. Gabriel of Our Lady of Sorrows, CP, the patron of our Novitiate. Please pray for our Novices, Postulants, and Aspirants - and all the women whom God is calling to pass through this holy training ground! Francisco Possenti was born in Assisi on March 1, 1838, the eleventh child of Sante Possenti and Agnes Frisciotti. His father Sante was a distinguished Italian lawyer. The boy was given the name of the city's illustrious patron, St. Francis, at baptism. The first year of his life was spent away from his family with a nursing woman who cared for him because his mother was unable. In 1841 Sante moved the family to Spoleto where he was appointed magistrate. In that same year, the youngest Possenti child died at just six months old; Francis’ nine-year old sister, Adele, soon followed. Just days later, his heartbroken mother was also called to eternal life. Francis had lost his mother at just 4 years old. Tragedy continued to plague the family during his youth. In 1846 Francis’ brother, Paul, was killed in the Italian war with Austria. Another brother, Lawrence, later took his own life. Such events, however, did not rob Francis of his spirit and cheerfulness. During his formative years, Francis attended the school of the Christian brothers and then the Jesuit college in Spoleto. He was lively, intelligent and popular at school. At sixteen, he suffered a life-threatening illness. Praying for a cure, Francis promised to become a religious. With recovery, however, Francis quickly forgot his promise. But God’s call would not be denied, and Francis soon turned his heart to the Congregation of the Passionists. The decisive step was taken while seeing the highly honored miraculous picture of our Lady in Spoleto borne about in solemn procession. As his eyes followed our Blessed Mother, Francis felt the fire of divine love rising in his heart and almost at once made the resolve to join the Passionists, a religious congregation dedicated to the veneration of and meditation on the passion of Jesus Christ (1856). Sante Possenti was less than pleased with his teenage son’s decision. Determined to show Francis the joys of a secular life of theater and society parties, Sante continued to hope Francis would find pleasure in a social life. But the young man was not to be dissuaded. Immediately after completion of his schooling, he left for the Passionist novitiate in Morrovalle. In the novitiate, he cultivated a great love for Christ Crucified. Francis received the Passionist habit on September 21, 1856, which that year was the Feast of the Sorrowful Mother. He was given the name: Gabriel of Our Lady of Sorrows. A year later he took his vows. His monastic life preparing for the priesthood made Gabriel a secluded, non-public figure. His writings reflect his close relationship with God and His mother. Gabriel did not stand out from his community in any extraordinary way — his heroism lay in his obedient attitude. He conformed himself to his community in complete humility. Little is known of his life - only that he was blessed with an excellent memory and other gifts that made him an outstanding student. He also had a great devotion to the Passion of Christ and the Sorrows of Mary. These were difficult and tumultuous times in Italy. The new Italian government issued decrees closing religious Orders in certain provinces of the Papal States. The new Passionist province of Pieta, to which Gabriel belonged, was in the center of this chaos. 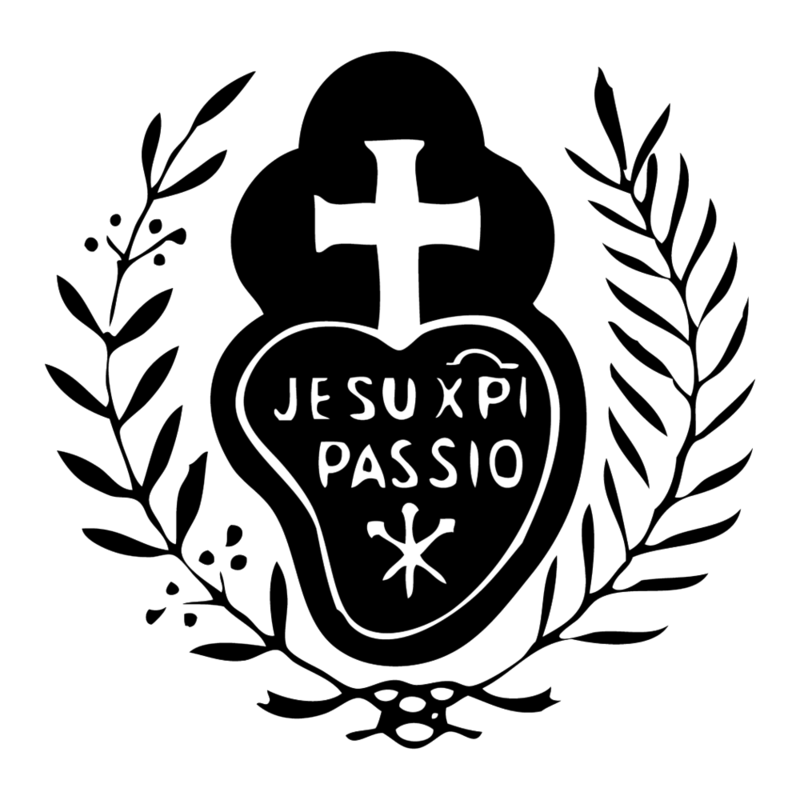 By 1860, the Passionists had ceased apostolic work due to the growing threats surrounding the community. During this period various Italian provinces were overrun by soldiers who robbed and terrorized the towns with little mercy. For safety’s sake, the Passionist superiors transferred all their novices to an isolated monastery at Isola in the Abruzzi Mountains of the kingdom of Naples. Stories abound as to Gabriel’s brave encounter there with a soldier who had taken a young village girl at gunpoint. As the story goes, soldiers arrived in Isola and went about robbing buildings and burning houses. Gabriel asked permission to go into town in order to help the frightened townspeople. He soon encountered a soldier who had apprehended a young girl. The soldiers mocked the young monk. They seemed to think that an ordinary monk would not stand-up to a soldier. But, eventually, Brother Gabriel forced the company to leave the village in peace. The people of Isola would always remember him as “their Gabriel.” Struck with tuberculosis at the age of 24, Gabriel died in 1862 before his ordination to the priesthood. His fidelity to prayer, joyfulness of spirit and habitual mortifications stand out in his otherwise ordinary life. Pope Leo XIII said of him: "Because of his filial love for Mary at the foot of the cross, he deserves to take his place by St. John, the beloved disciple, to whom Jesus in his dying hour commended his Mother." Pius X and Leo XIII especially desired that he be the patron saint of young people and novices in religious orders, as their model in the interior life. On Ascension Day, 1920, Pope Benedict XV bestowed the honors of sainthood on a youth who is rightly called the Aloysius of the 19th century. He canonized Gabriel and declared him a patron of Catholic youth. His patronage is also invoked by the Church for students, seminarians, novices and clerics. Thousands of divine favors are attributed to his intercession with Christ Crucified and the Sorrowful Mother Mary. Saint Gabriel wrote: "Love Mary!... She is loveable, faithful, constant. She will never let herself be outdone in love, but will ever remain supreme. If you are in danger, she will hasten to free you. If you are troubled, she will console you. If you are sick, she will bring you relief. If you are in need, she will help you. She does not look to see what kind of person you have been. She simply comes to a heart that wants to love her. She comes quickly and opens her merciful heart to you, embraces you and consoles and serves you. She will even be at hand to accompany you on the trip to eternity." St. Gabriel’s life reveals that a profound love for the Mother of Sorrows is of the very essence of the Passionist charism, for it was Mary who appeared to young Paul Francis Daneo, the Passionist founder, and called him to found the Congregation.